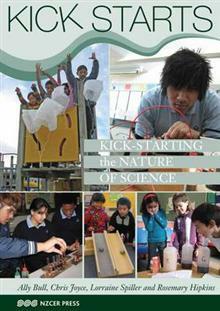 Nature of Science is the core strand of science in The New Zealand Curriculum. This resource aims to support teachers to understand the different aspects of the Nature of Science and what this might mean in practice. All aspects of this strand are covered: Understanding about science; Investigating in science; Communicating in science; and Participating and contributing. The authors ask a key question, what might Understanding about science look like in the classroom? and then go on to suggest many practical activities. They also show how resources that are already in schools might be adapted to meet the changed emphasis of the curriculum.